These are obstructed view tickets, under $100, face value. 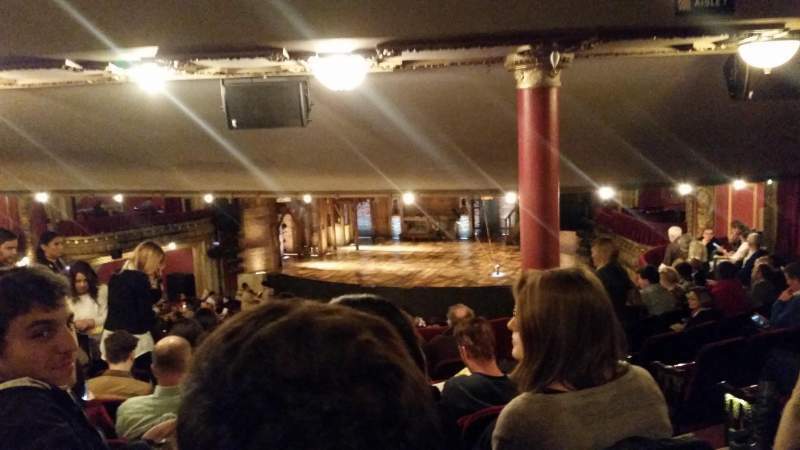 Good view of the stage, but absolutely no view of the actors when they're performing on the rafters because of the balcony overhang. I was ok with that for the price.